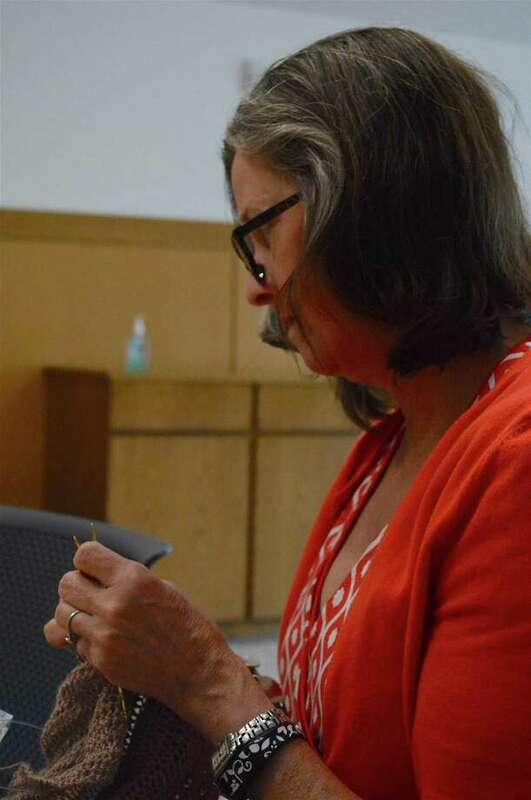 Jen Dayton, collection development coordinator and facilitator works on her project at the weekly "Knit One, Crochet Too" group at Darien Public Library, Thursday, Aug. 31, 2017, in Darien, Conn.
DARIEN — For three years now Darien Public Library’s “Knit One, Crochet Too” group has met to share experience, advice and generally encourage one another to keep needles clicking. The group, facilitated by Jen Dayton, the library’s collections development coordinator, meets every Thursday afternoon. All are welcome to come and crochet, knit and generally admire the fine work of these crafts people.